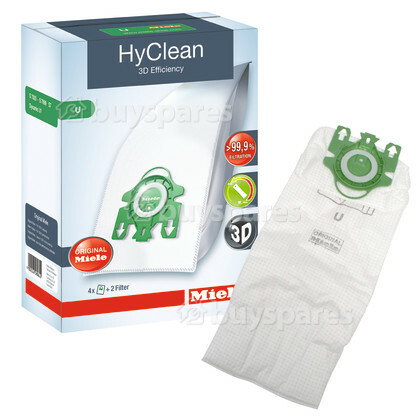 Neutralises odours and retains dust to improve suction, these high-performance Hyclean dust bags from Miele facilitate air flow to ensure maximum performance. 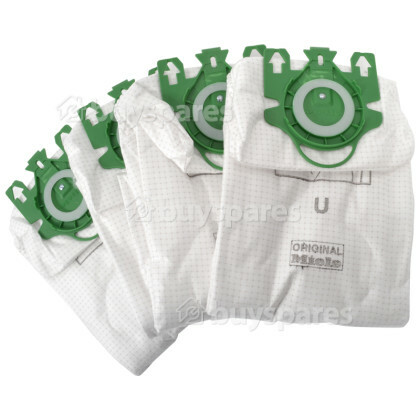 The U bag can be recognised by its green collar. 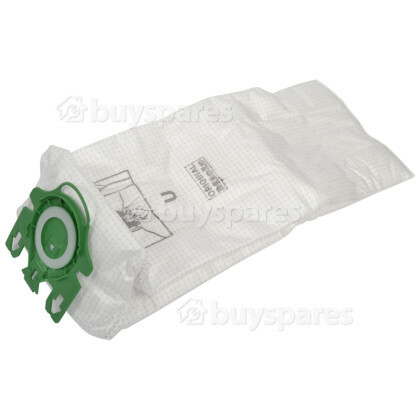 The colour coding collar assists in re-purchasing the correct type of Hyclean dust bag for your Miele vacuum. This U dustbag has been engineered from a special fleece that provides nine layers of filtration, giving you the confidence that it will effectively capture the finest of dust particles. Featuring a internal airflow system that ensures the bag is always completely filled before you need to change it, giving you maximum use of each bag. And when it’s time to replace it, each bag features a colour-coded collar that reminds you which bag you need. All our dustbags have an automatic hygiene shutter, which traps dust and bacteria inside the bag even when you’re disposing of it. 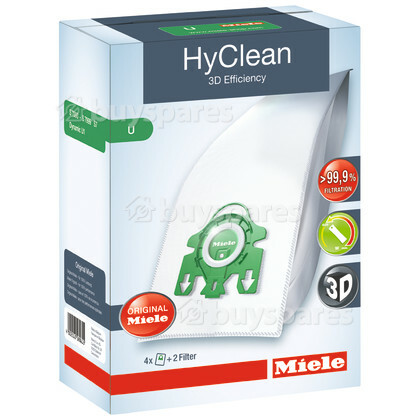 Miele HyClean dustbags are a high quality and hygienic way to capture & dispose of dust particles.